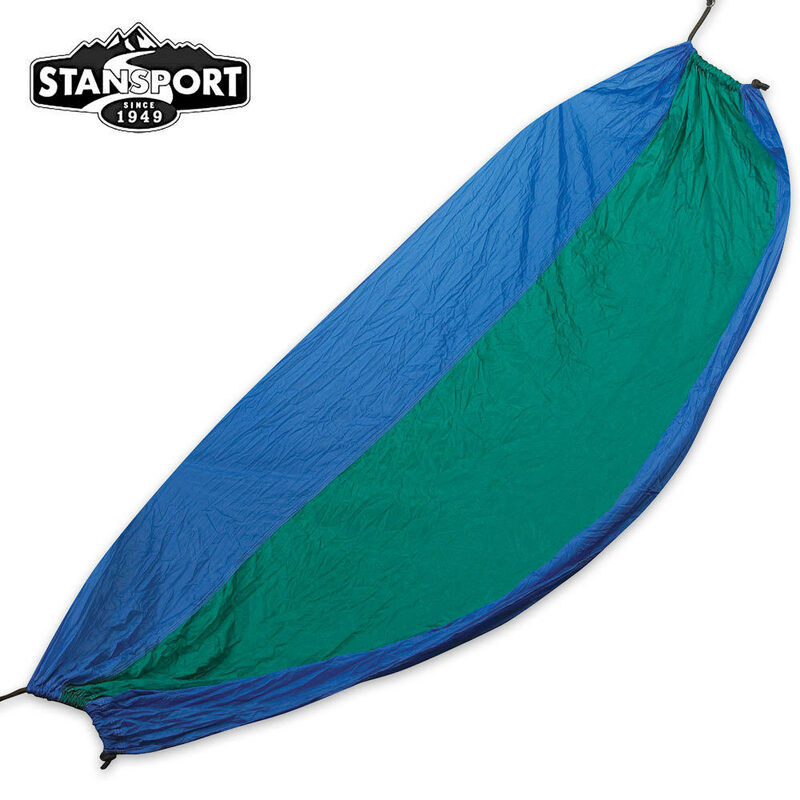 Newport 2-Person Packable Traveler Nylon Hammock Blue | BUDK.com - Knives & Swords At The Lowest Prices! Lay back and relax, Jack! Wherever you go to relax, don't forget to pack the Newport Traveler 2-person nylon hammock. It features soft parachute nylon fabric that is lightweight, breathable and mildew and water resistant. At slightly over one pound, it's easily transported. It's large enough for two, but if you're going solo, you'll have that much more room to enjoy your hammock to yourself.